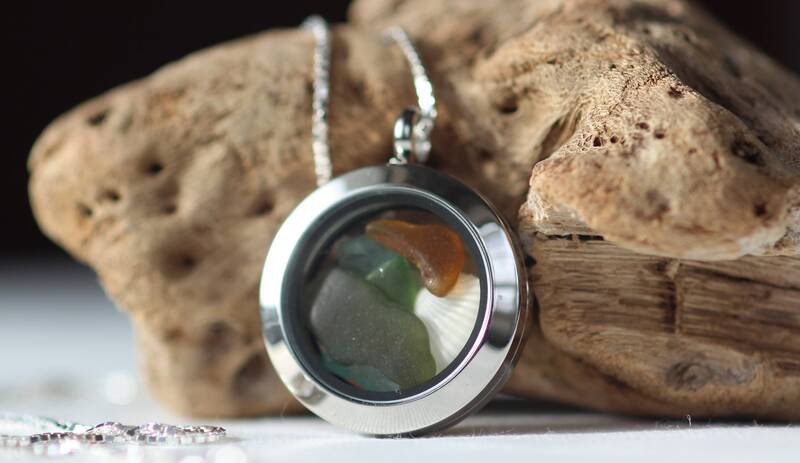 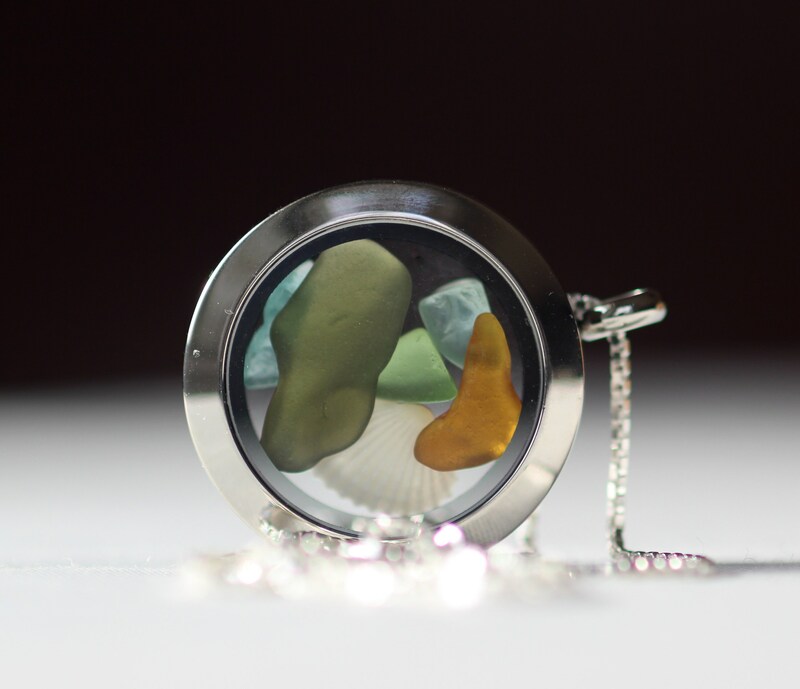 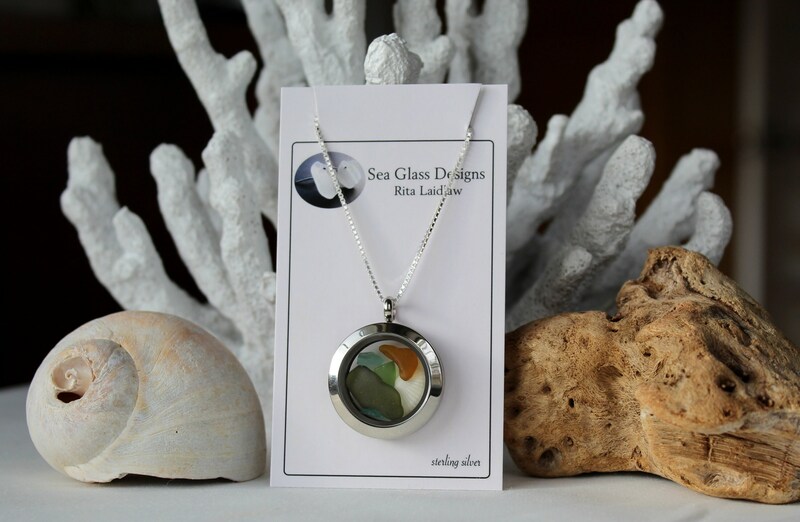 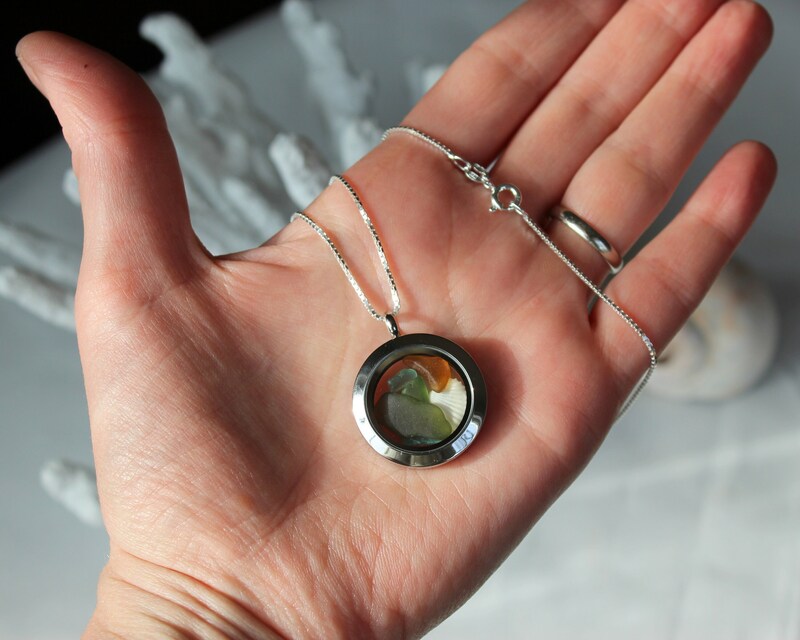 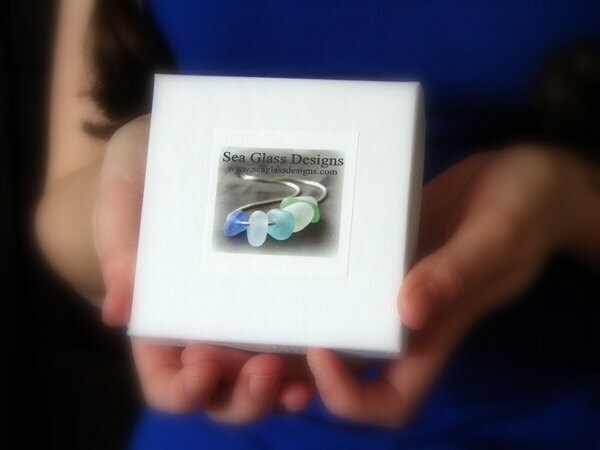 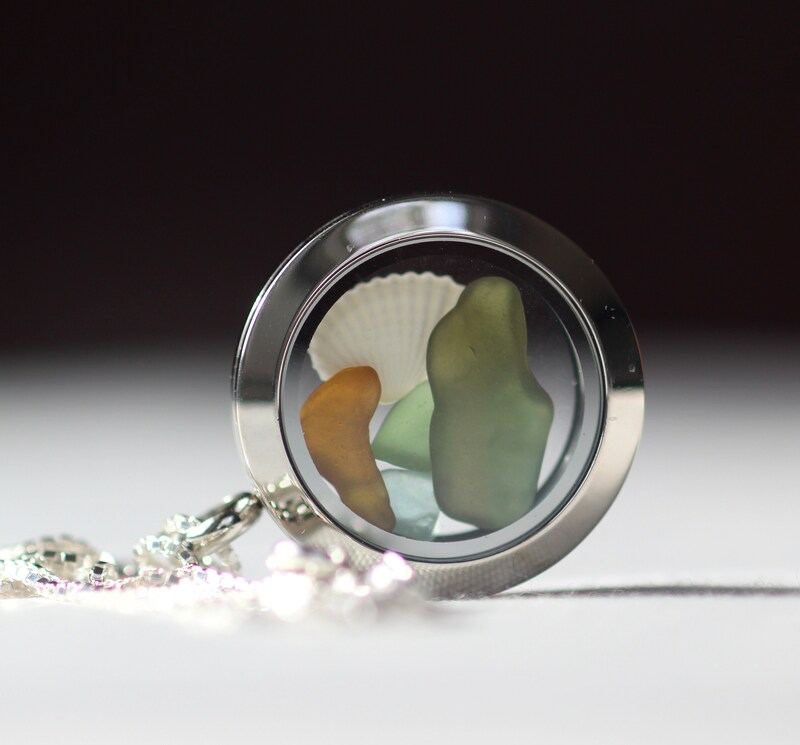 This Porthole sea glass necklace features lovely little bits of natural sea glass in teal, green and amber, along with a tiny seashell, captured in a stainless steel memory locket. 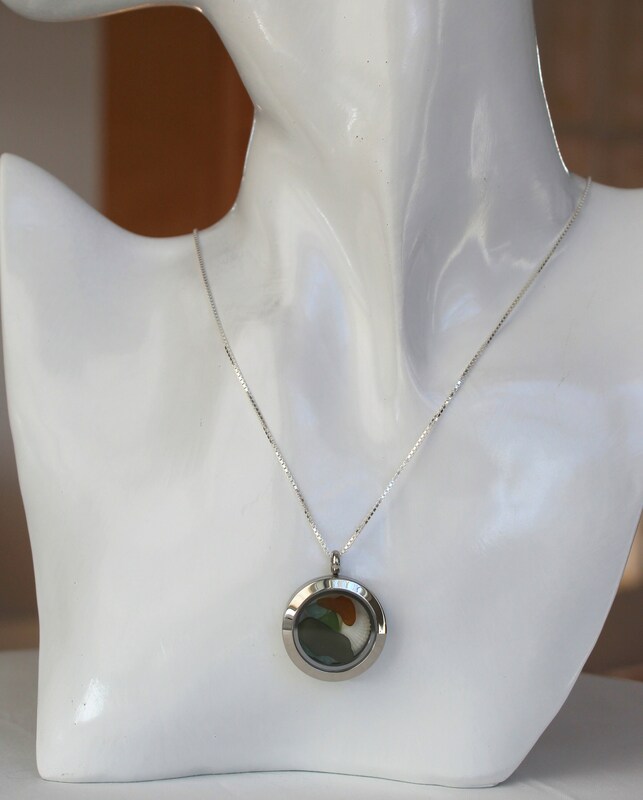 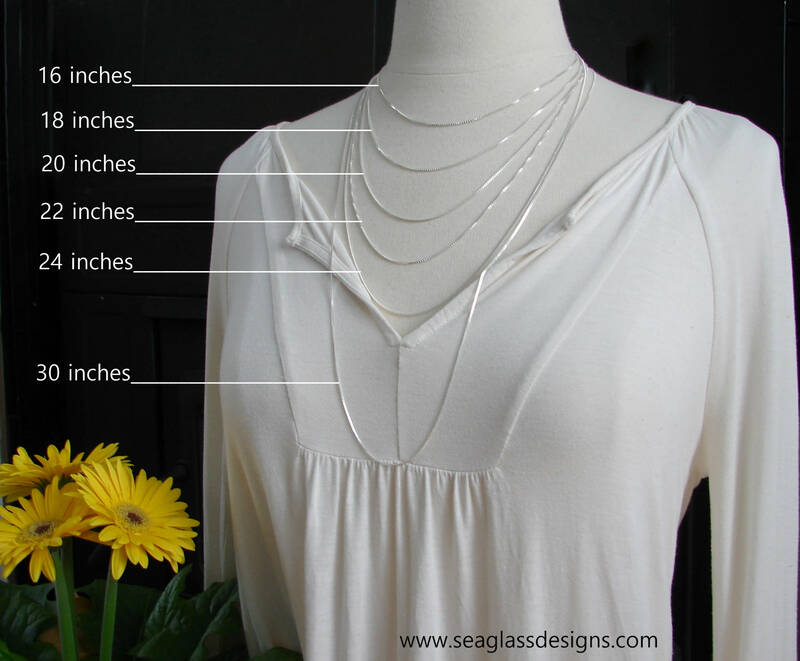 The locket hangs on a sterling silver box chain, with your choice of chain length. 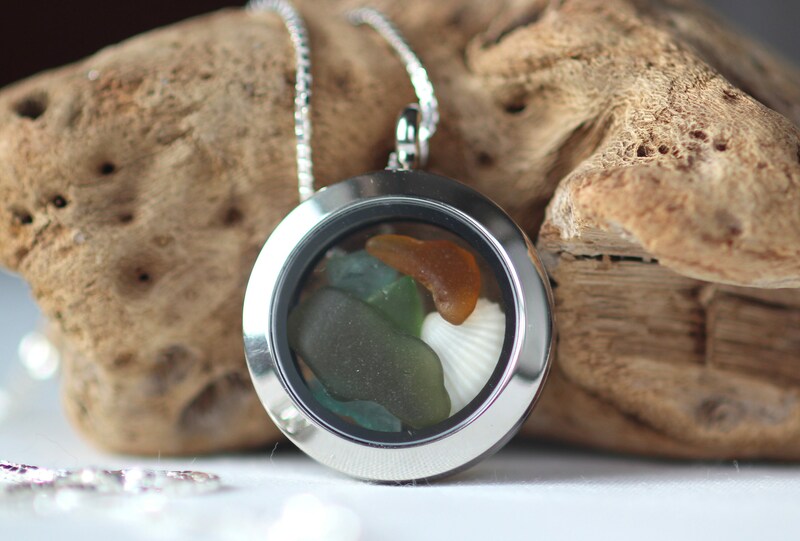 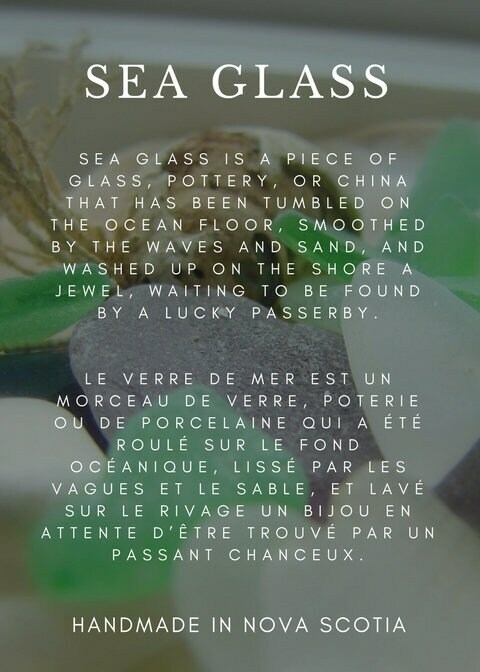 Wear a little bit of the beach year round!